Today was picture retake day at school. Meg missed the first picture day, because she was sick. I was so glad we had another opportunity to have her school photo done. I contemplated what she should wear for her Kindergarten school photo. When they start going to what feels like a real school (as opposed to Preschool) you begin to wonder how they ought to look. It brought back memories of my own childhood and what I looked like in all those school pictures. You know you will look dated and goofy, but your parents well-meaning as they were, dressed you in what seemed to be a nice outfit (at the time). 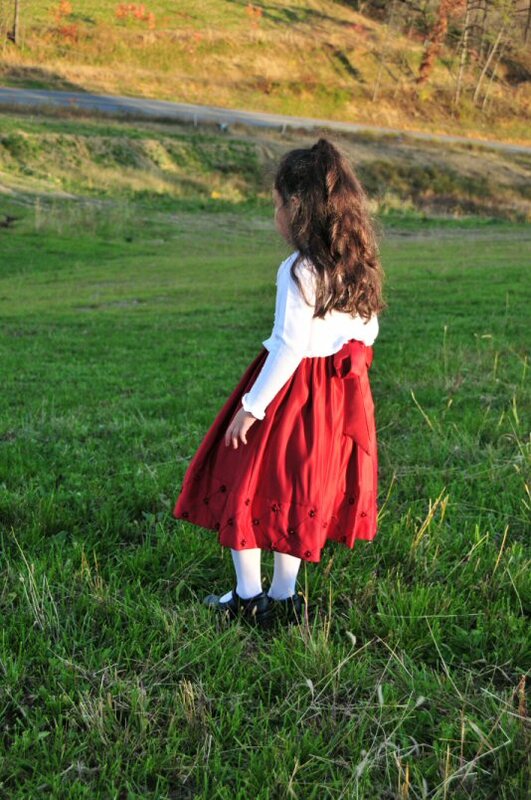 I decided that she is still five and young enough, looking somewhere between my little baby and my very young lady, that I could put her in a cute little dress. Trying to be fiscally responsible, this dress would also be suitable for Christmas this year. If she happens to grow out of it, I may be forced to get another dress. Okay, who are we kidding? Christmas is around the corner lol. The dress will still fit. This entry was posted in Meg, My Beloved and tagged Megan.